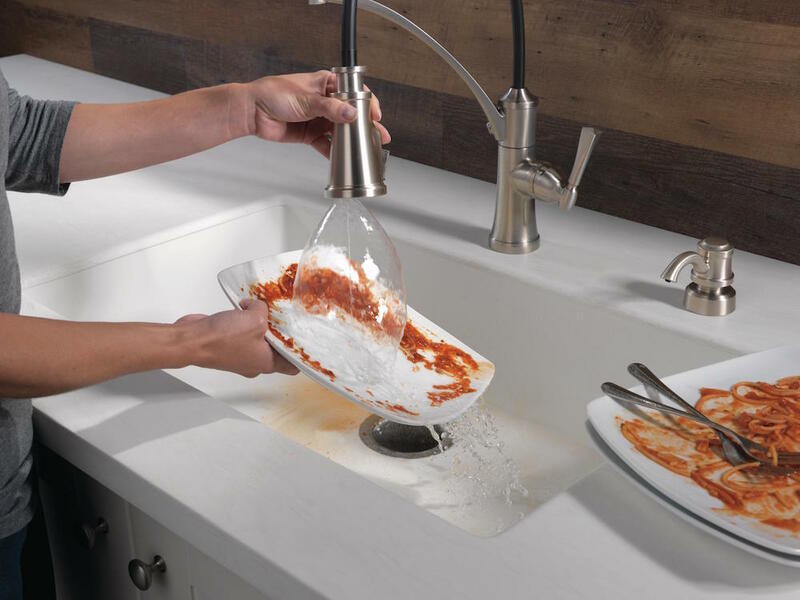 Specsheet: The 6 Most Ingenious Products From KBIS 2018. 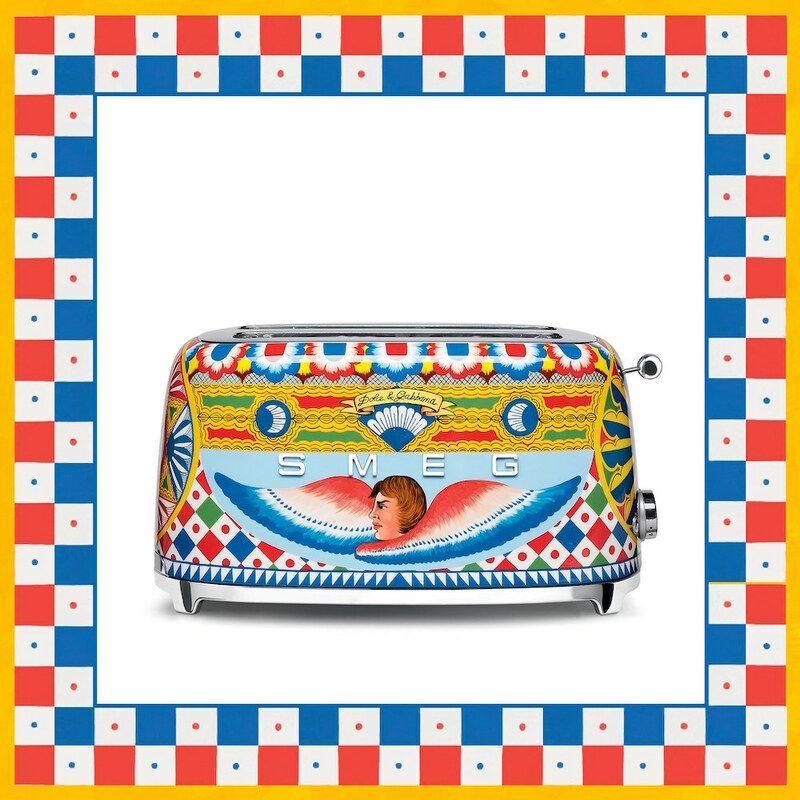 Pictured here: The Smeg x Dolce and Gabbana collaboration “Sicily Is My Love," a collection of small-scale appliances including a toaster (shown), a juice, a blender, a coffee machine, and a kettle (Courtesy Smeg). This year, 80,000 people migrated to Orlando to see toilets spread out across the equivalent of 36 football fields (or 2.1 million square feet) at the Orange County Convention Center. Crowds were dazzled by the spectacular and often sensory showcase of the newest kitchen and bath fixtures at the 2018 Kitchen and Bath Industry Show (KBIS). Where water was flowing in the company of ambient lighting, AN spent two days meandering through 600 booths across two buildings connected by an outdoor foot bridge (and a Greyhound-style shuttle bus). Our favorites are highlighted below. 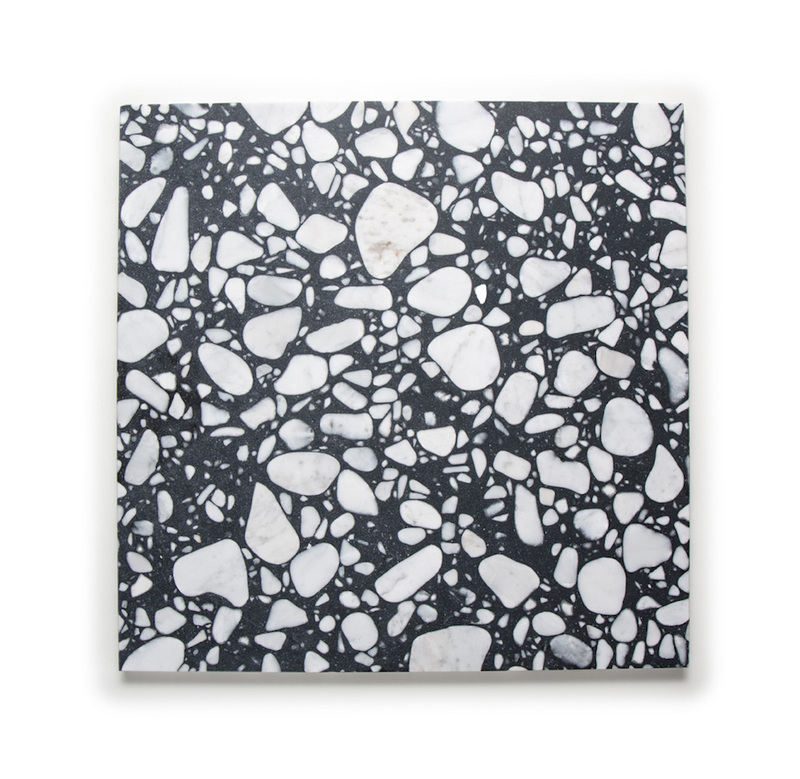 In an ode to traditional Italian terrazzo, Ann Sacks introduced a new iteration of the 15th century surface with 28 percent pre-consumer recycled content. The composition comprises marble from the Carrara mountains and a combination of fine stones with varying proportions. 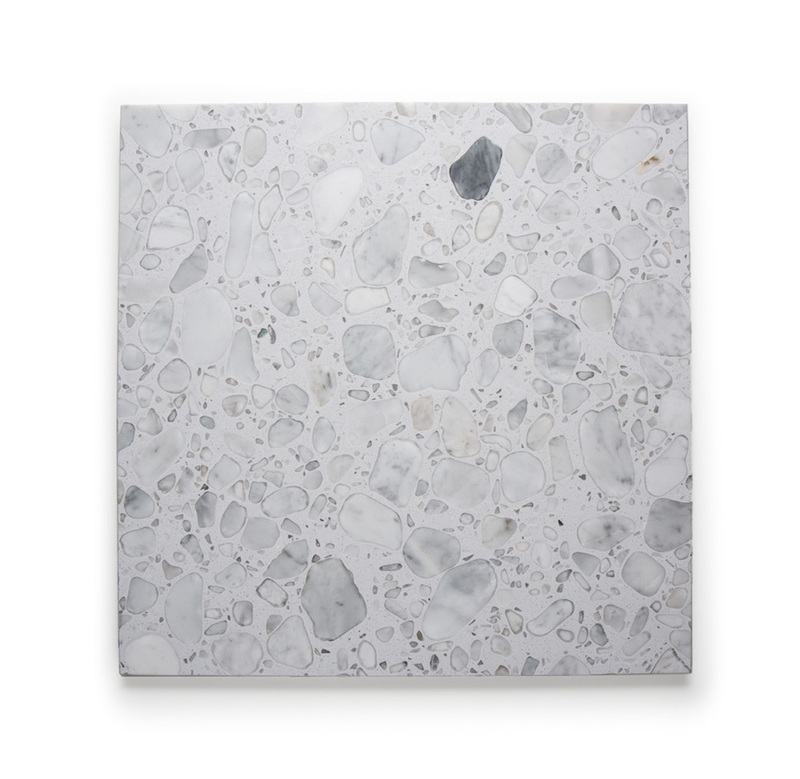 The LEED v4-certified tiles are available in both white and black variants and in either 16 x 16 or 24 x 24 inches. By way of a laser-like concentrated jet surrounded by a shield of water, this faucet keeps back splashes at bay while cleaning messes away. It is offered as a single handle pull-down fixture in the Foundry and Esque collections presently, and soon in other models rolling out early this year. 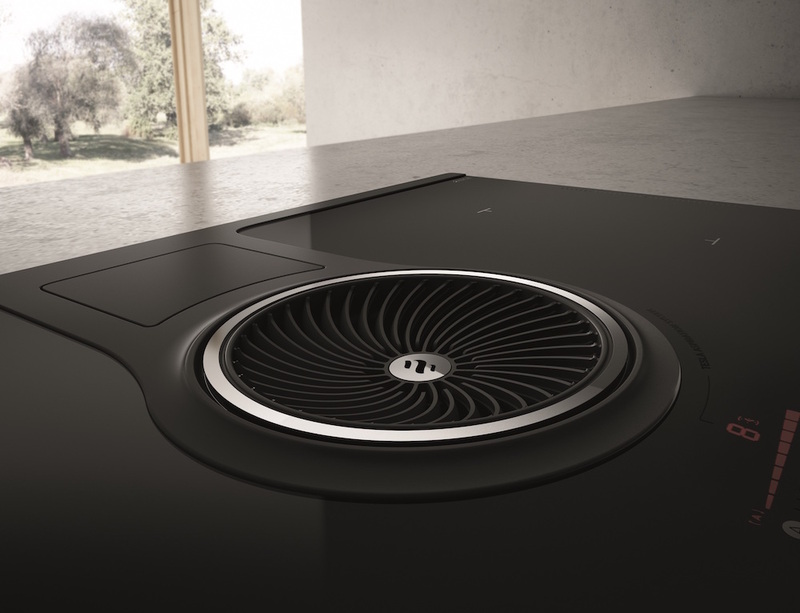 Completely eliminating the need for a ventilation hood, this innovative system integrated on the cooktop suctions and captures odors and fumes through a centrally-located fan. The automated process is triggered by sensors that perceive the amount and quality of odors present. 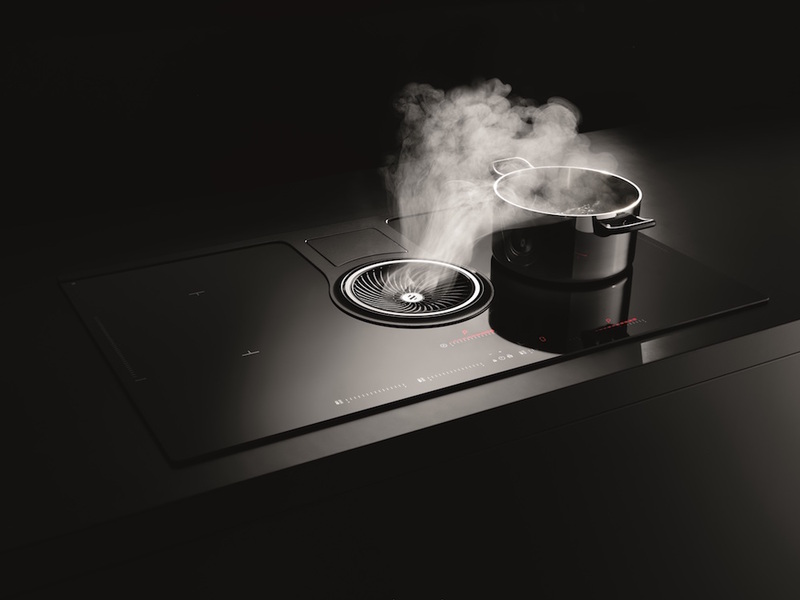 The induction range is equipped with a double bridge function, which allows for two adjacent cooking zones to be combined as one. 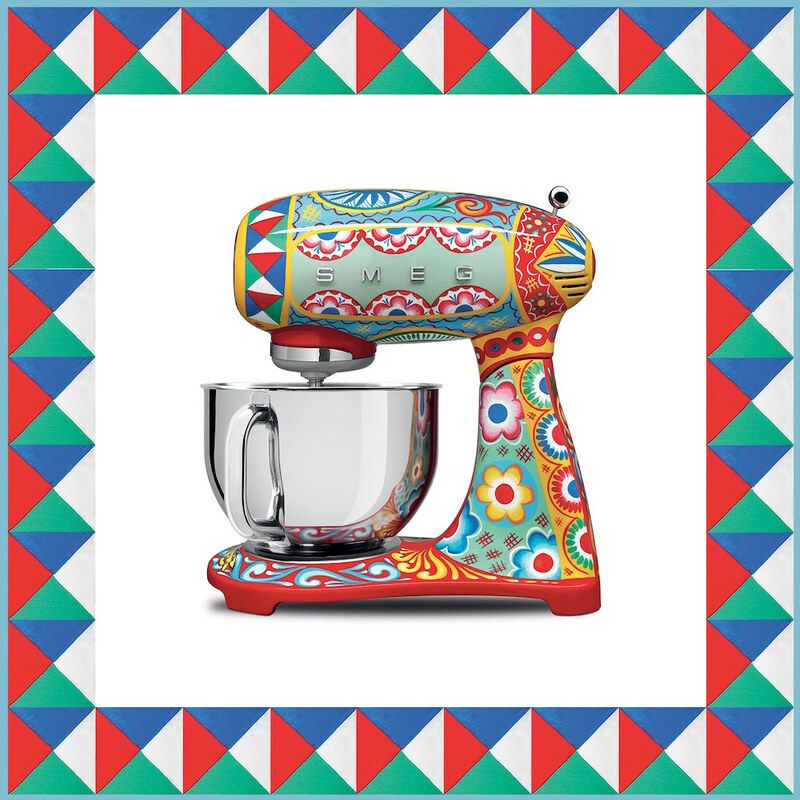 At last year’s Salone del Mobile, Smeg debued it’s first collaboration with the famously Sicilian fashion house, Dolce and Gabbana: 100 limited-edition hand-painted refrigerators that celebrate the ornate decorative aesthetic of the brand’s heritage. This time, the duo released a series of smaller-scale appliances (objects that could be classified as decorative arts), including a toaster, a juice, a blender, a coffee machine, and a kettle. Clad in traditional Sicilian motifs and rich colors, the items in the “Sicily Is My Love” collection are adorned with yellow lemons, vibrant citrus fruits, swags, scrolls, and other dynamic symbols that thematically relate to the visual narrative of Sicily. 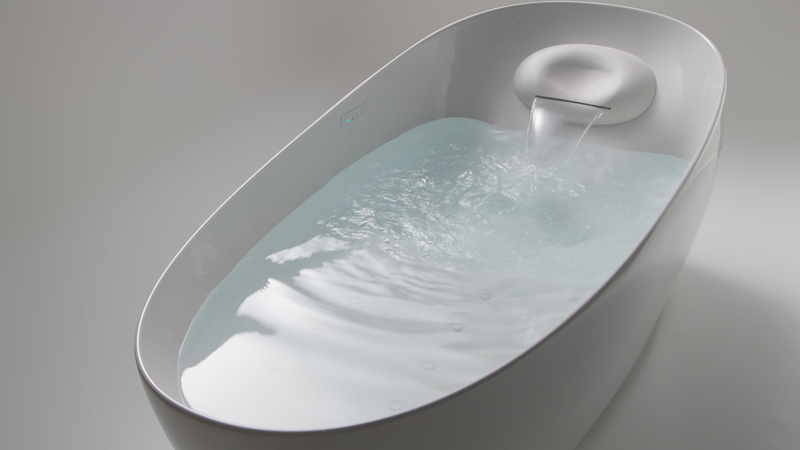 At seven feet long, this cradle-shaped tub was devised from tests that measured the perfect balance between floating and lying down, apparently modeled by how astronauts sleep in zero gravity. Added perks include eight air massage jets, an adjustable pillow with a shoulder warmer, and two hydro lumbar jets that mimic the motion of a massage by two hands on the lower back. 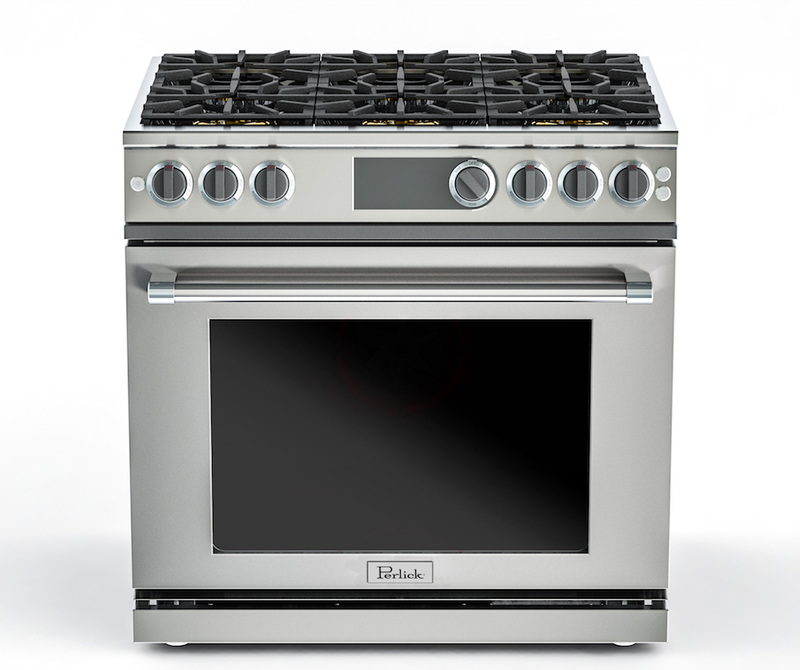 Perlick launched its first cooking range complete with 30,000 BTUs of gas-fueled power on each burner. Alternatively, the oven can simmer at ultra-low temperatures with its built-in sous-vide technology. Best of all, it comes with the industry’s first 360° Lazy Susan turntable oven rack and convertible burners.